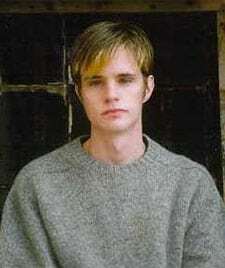 In August I posted about the 80-minute epilogue to The Laramie Project which was to open on the 11th anniversary of Matthew Shepard's death. Some new details: the show will be opening at more than 130 theaters simultaneously on October 12.
nice. Looked like he had money.'" Of Judy Shepard's ongoing work against hate crimes, McKinney says: "…she never shuts up about it, and it's been like 10 years." Pierotti says he wanted to address whether or not the murder was a hate crime, a question raised by a sensationalist 20/20 segment by Elizabeth Vargas in 2004 claiming the murder was motivated by drugs. interesting to dig into who this person is." internet with a live question-and-answer session following the debut.